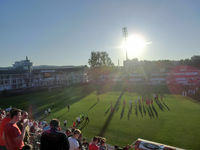 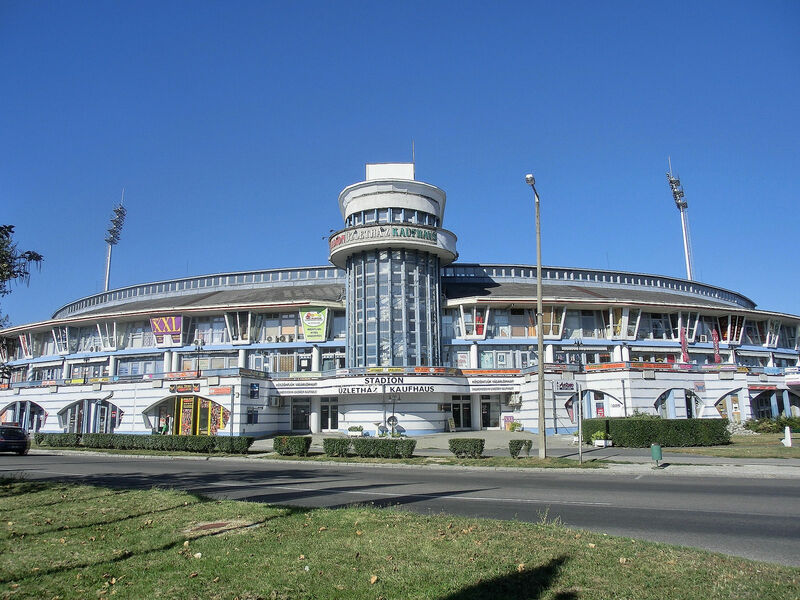 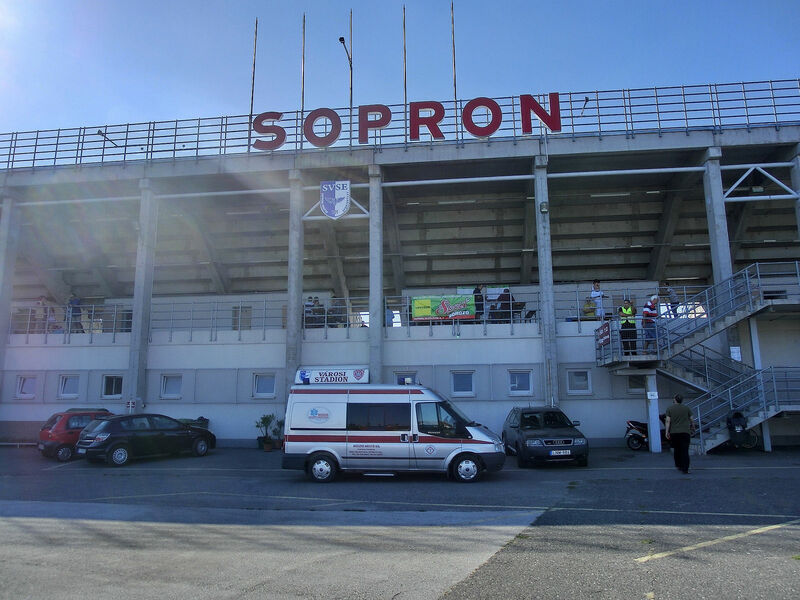 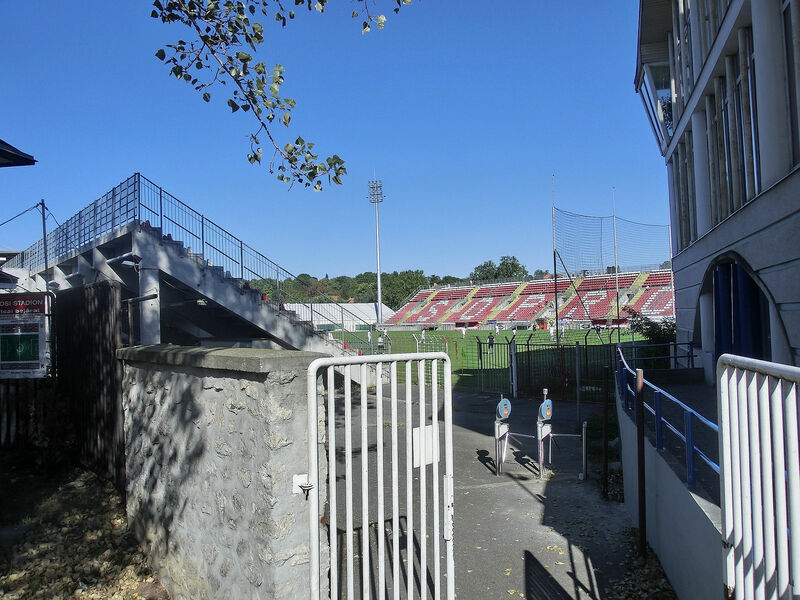 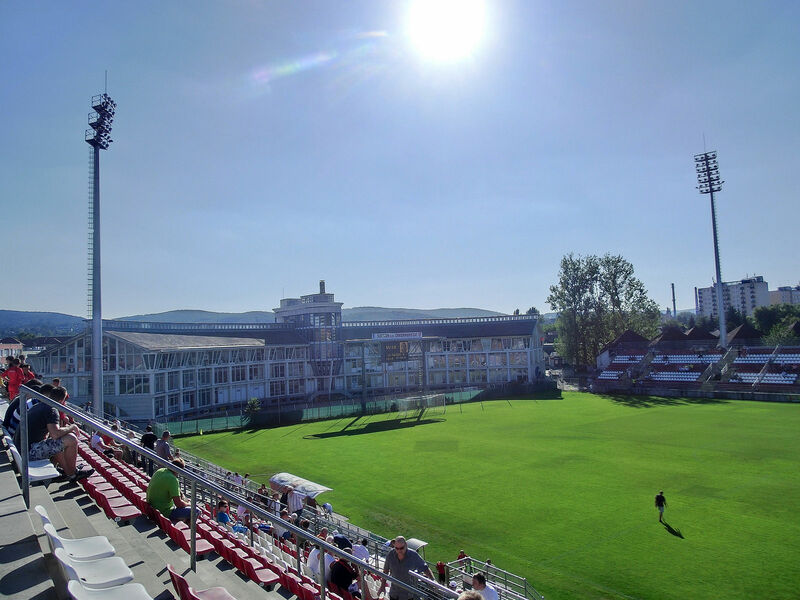 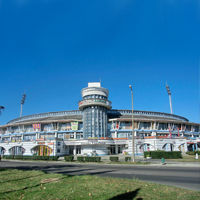 Stadium on the Cabbage Street (as Káposztás ut translates) is the lrgest in the town of Sopron. 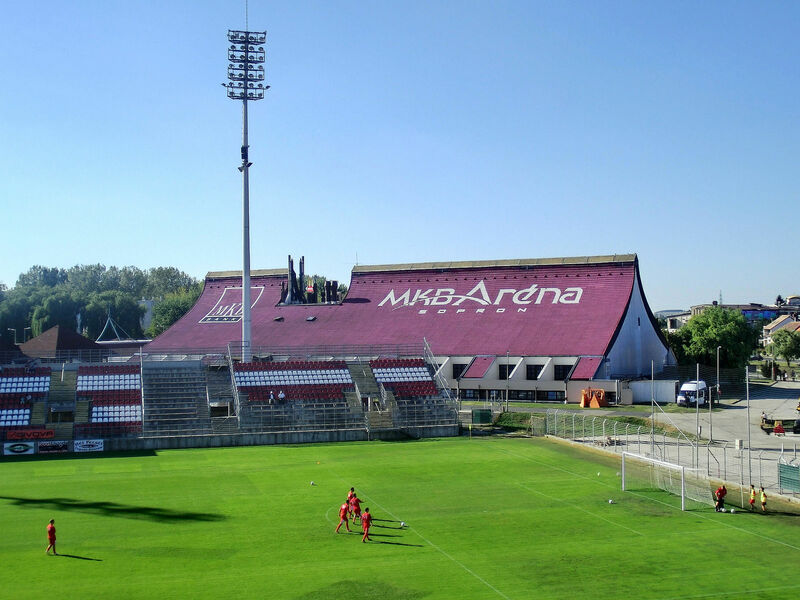 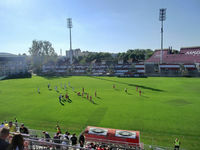 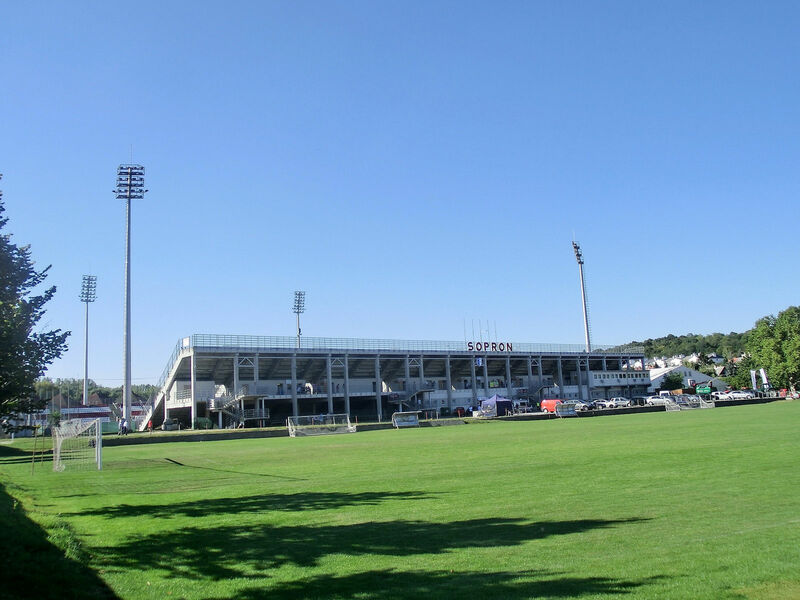 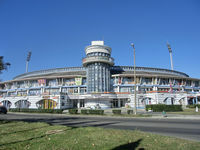 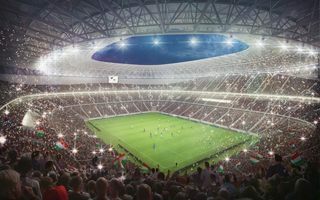 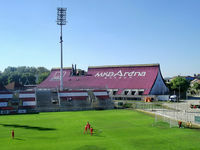 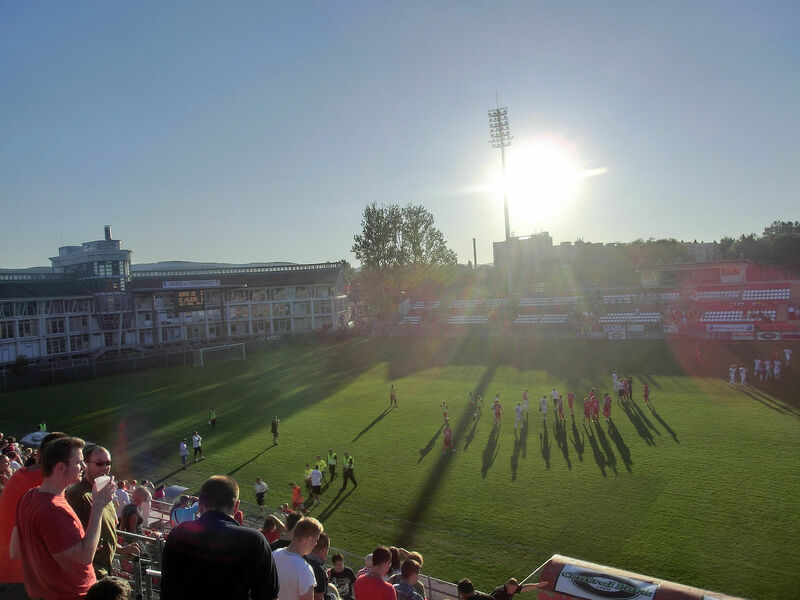 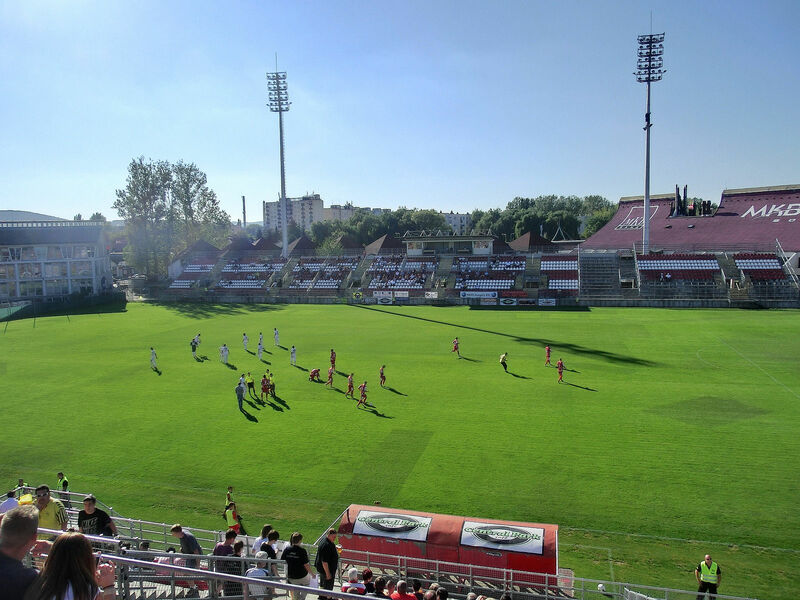 It was built in 2003 (replacing old stadium, built in 1965) with two concrete stands along the pitch, but has a very unique layout, hardly comparable with any other football venue. 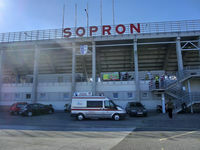 It has a shopping centre behind the southern goal, which is visually conjoined with the stands. 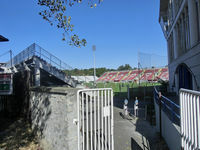 Regular capacity of the stadium stands at 5,800, of which 500 is terracing.